Before the ride, there’s always time for some ball jugging in the back yard that needs to be done in style. Inspired by footballs’ hey days, Z.S.K. Radau represents Trikoterie’s 2018 home jersey. 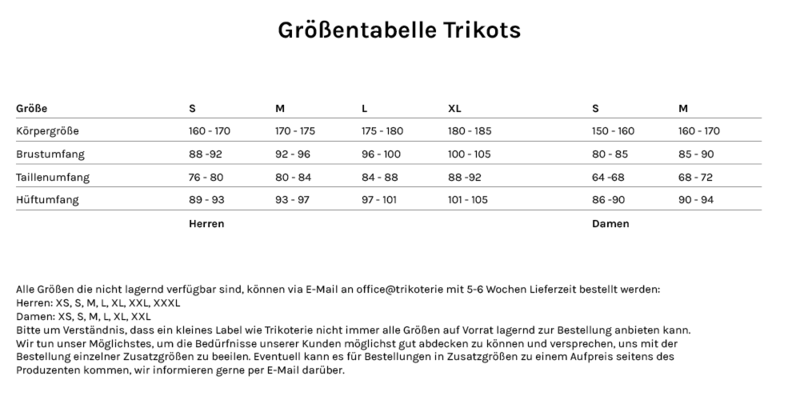 If your size is not available, send us a message to office@trikoterie.at. We’ll see what we can do.